The Winner of the January Pet Photo Contest is..
Congratulations Maizy! You are so precious! 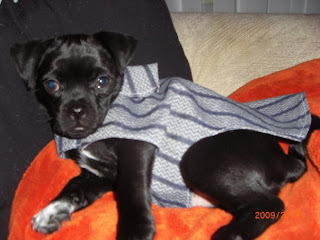 Maizy has won a free PetsJubilee Pet Sampler box and her picture will be our team store avatar for the month of February. Maizy's mom runs the LittleBrownBird shop on Etsy. Please visit her store for handmade jewelry and accessories. 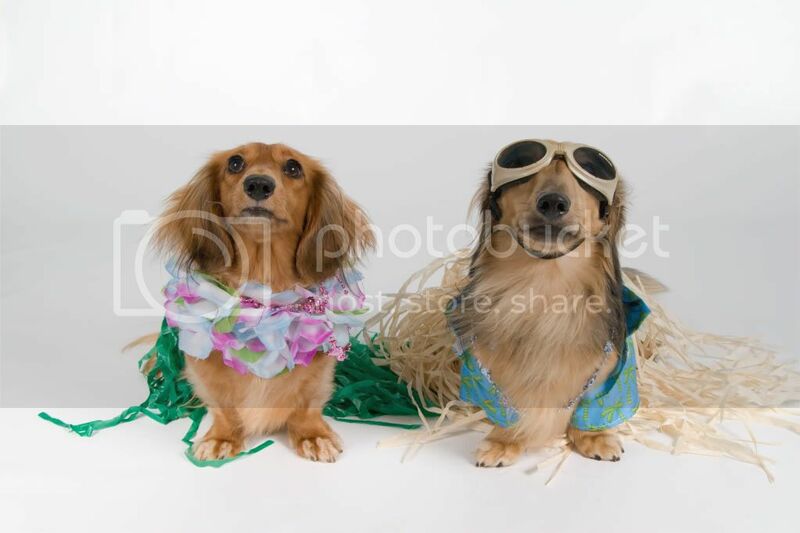 "This photo of Murphy & Poppy was taken for the New 2010 Desert Wiener Calendar! It was such a Fun Day at the photo shoot,and best of all we sold a lot of the Calendars with all proceeds going directly to the Sahuaro Dachshund Rescue!" "This picture is of Isis the reindeer! I wanted to get her picture by the tree with the antlers on her and she was not wanting to sit still with them on. She finally laid down in front of the tree for me with this look of "my Mom is making me wear this"! 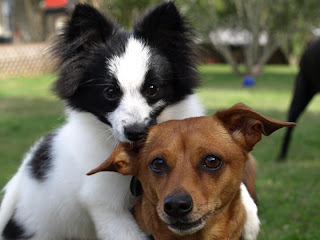 "We just bought this Pomeranian, Dottie, and she is in love with our Pomeranian Dachshund Mix, Princess. They play all of the time together and have quickly become the best of friends. It is funny because Princess doesn't like other dogs but she just loves her puppy Dottie! Here they are trying to get me to throw a ball for them!" "This is Chloe our new baby girl. 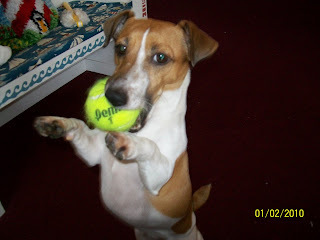 She loves to play ball all the time in this picture she will not let go of her ball." "This is Maizy, my pomeranian puppy. I had adopted her with a very serious illness. She spent 5 days in the animal hospital receiving round the clock care. After $2000 in vet bills, she is healthy, spunky, and sassy! She makes me laugh every day." "Really mom, we swear we didn't steal the cookies off the table"
But the trouble-maker on the right, is Tallulah-Belle. She is the puppy that Satan would have, if he had a dog. We are keeping this little devil. She get's into trouble all day, pulls the ferret by her tail (our ferret, J.C. keeps coming back for more! ), and she knows just how to get away with it...by running up to you, while you're scolding her, and licking your whole face, with her little tongue...can't stay mad at this little girl! "This is Max with his new sister, Emma. I got Emma for Max to have a friend and I wanted a bigger dog. 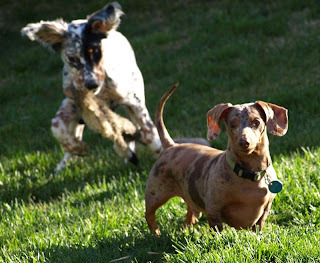 She is a Llewellin Setter and Max is a Chocolate Dapple Dachshund. They love eachother so much, they cuddle at night together and they play together! This is a picture of Emma with Max's toy trying to sneak up and pounce on him!" "This is Bob (last name Cat). Bob was abandoned when only a few months old by his original owners, who moved away and left him behind. 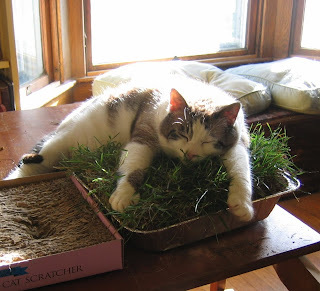 He is the sweetest cat ever and loves everyone and everything...including grass. Since we don't let him go outside, we decided to bring a little of the outside in and so gave him this box of grass dug up from a corner of the yard. As you can see, it was a very big hit." "We have a black cat, a short-haired version. Homer is our newest cat and latest addition to the family. He's 14 and doesn't take any sh#i@ from anyone. His purr is louder than Stubbers and that's loud." 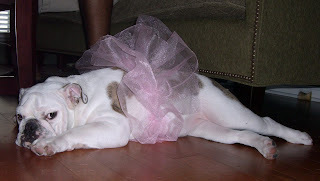 "As you can see she loves to play dress up with her new TuTu." "It's a picture of one of my rescue kittens, she was orphaned at literally a few minutes old according to the woman who brought her to me. 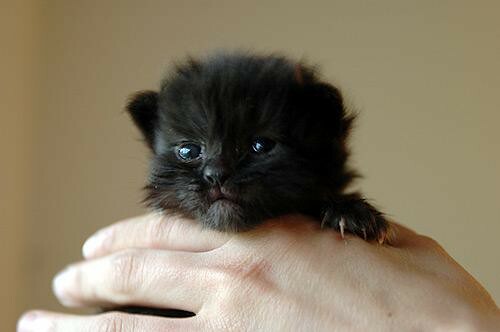 In the photo she is eleven days old and had only just opened her eyes. We named her Audrey (after the famous plant that always screams "FEED ME!"). She is now almost two years old, but in the photo she is a brand-new kit!" "Here is Mia with one of her new Christmas toys. She just loves all of her toys- as you can see! Kiss Kiss!!" "These are my gals. 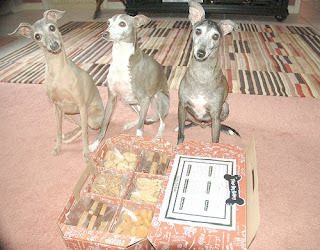 From left to right are Flame, Ginger & Bridgette. Please excuse the blurry photo but I was tired and they were tired. are laying in their comfy new bed that Santa brought them after a long day of visiting and Momma trying to take photos! Life just doesn't get any better than this!" 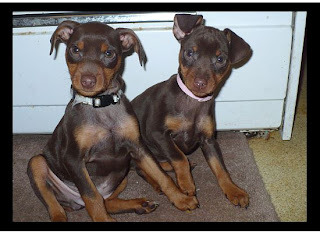 "Sweet Pea, Pepie, and Farfalle are still in awe of the generous gift from a friend. It is a brand new, super huge trunk of dog cookies. " "Diesel was a very lucky guy that we found him. It was in Miami and it was raining really hard and having a lot of bad weather from the tropical storms. Me and my fiance were driving and saw a box for free and we were like thats a small box for free stuff. So, I made him pull over and saw something move. And it was a baby black dog, he probably wasn't even a month old, only like a pound. we took him right away and took him to the vet. He was really sick but we nursed him back to the health and he is healthy as a horse and I couldn't be happier. I dont know what i do if i didnt have him." 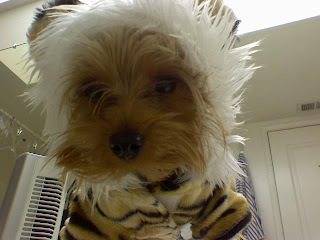 "This entry is little Bailey dressed as a ferocious tiger in her new costume. She is 3.5 lbs and my baby!" "This is our new fur kid, Jill. She likes to play with her bigger fur brother Jack. He's not to sure about her yet!" January Pet Photo Contest - "Something NEW"
What better way to usher in the New Year than with something new from our furbabies?! Send in your photo, slide show, or video of your pet with something new. Maybe its a picture of your new furbaby, or something they received for the holidays, or a photo depicting their New Year resolution. Add some words to be posted with their pic to go along with the theme. We'll be accepting entries from January 1st through the 17th at noon, EST. Visit us in the forums where we'll be hanging out and introducing the new entries until voting begins on the 18th.